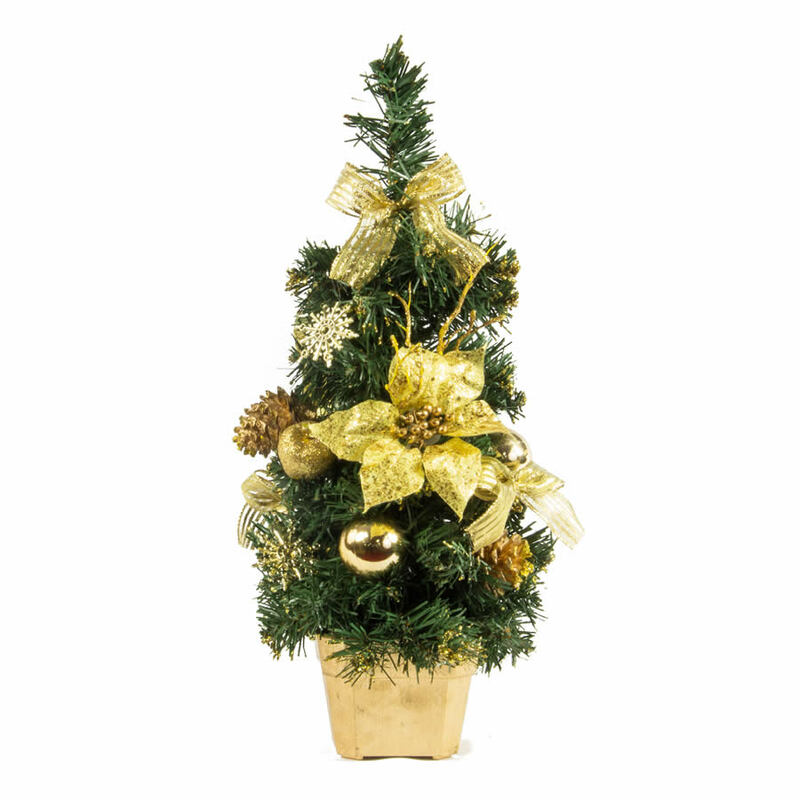 If you prefer smaller tree because of a shortage of space or time, The Gold Table Christmas Tree is the perfect tree for you. 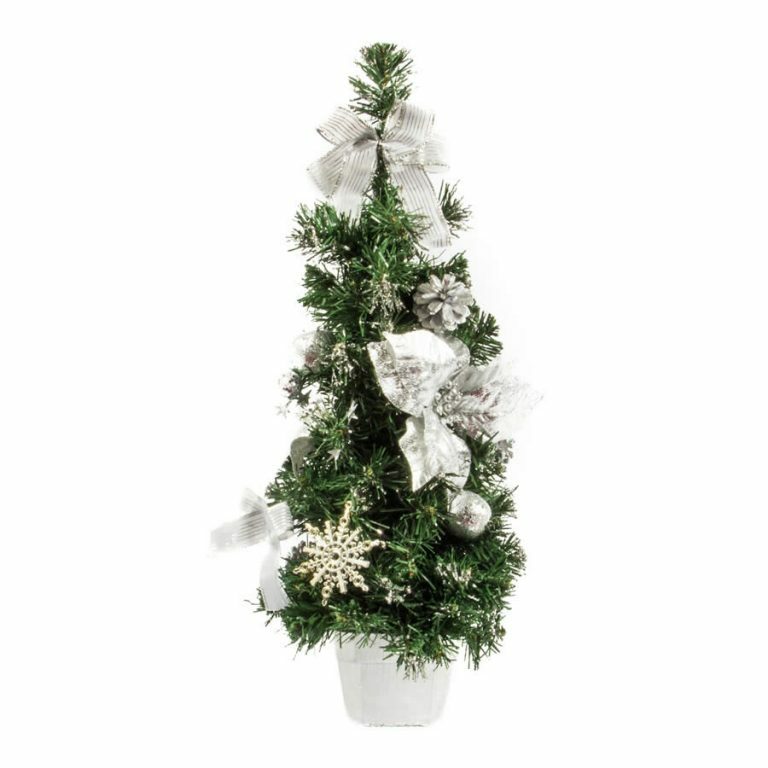 This sweet, little tree is perfect as a centrepiece for your Christmas table, or can be used to decorate a hall table. 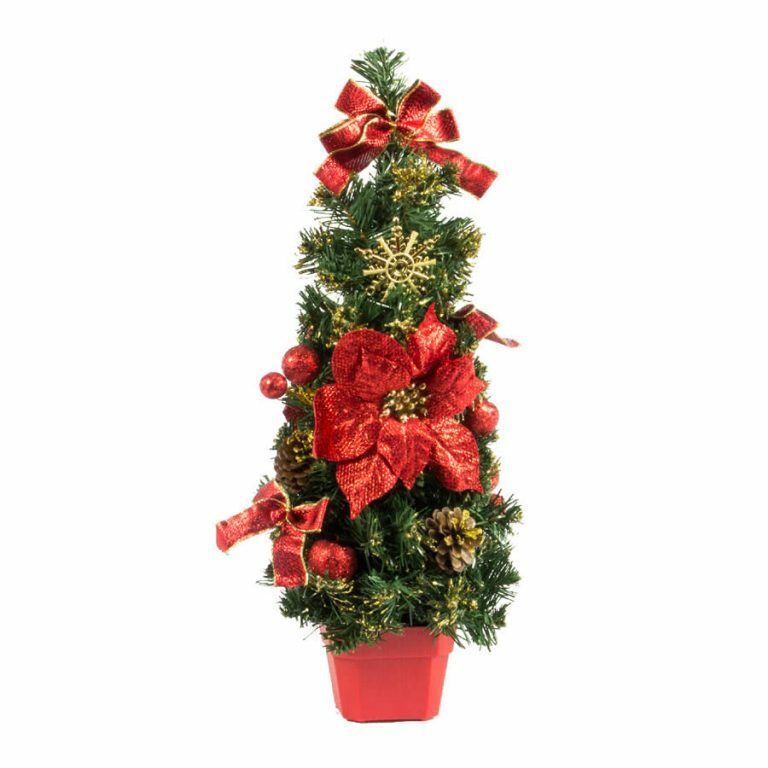 At only 40cm this tree will fit into your existing decorations, or can be used as a standalone decoration. Just because this tree is little, that doesn’t mean you shouldn’t have some fun decorating! Add some pic and spray items and one or two accent ornaments to complement the gold bows, stars and baubles and gold pot of The Gold Table Tree. 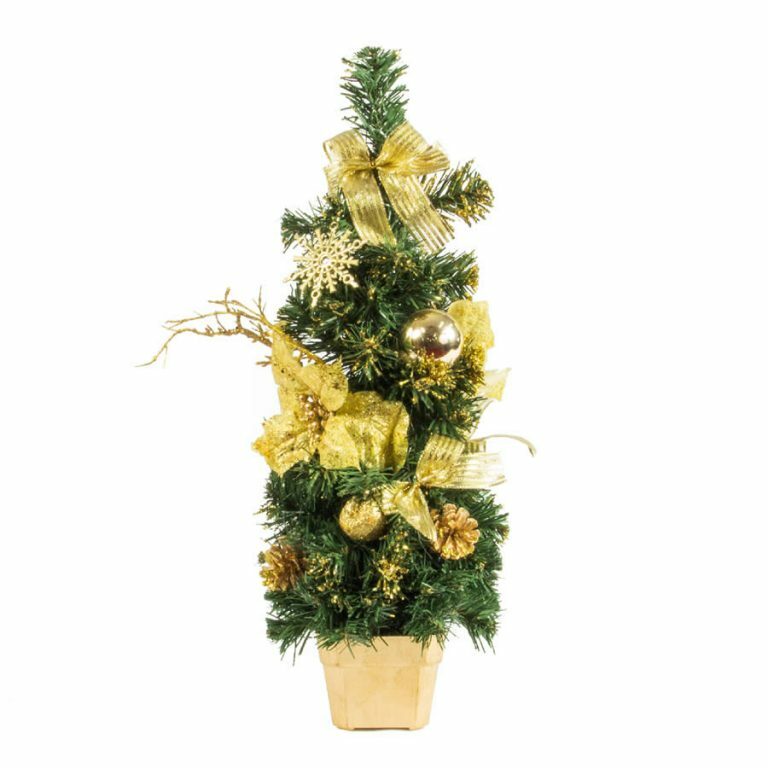 Whether you dress this little tree up or down, it will add plenty of golden cheer to your Christmas celebrations this year.